Ling Zhi Mushroom (Miraculous Mushroom) is an excellent natural health supplement with many valuable benefits and does not have any side effects. The common name is known as Lucid Ganoderma while the botanical name is Ganoderma Lucidum. The taste is sweet and the property is neutral, therefore it is suitable to be consumed by anyone. In the Chinese medical concepts, The essence of the Ling Zhi is able to penetrate the organs and its meridians to improve the conditions of the lung, heart, spleen, liver and kidney. This natural herb protects our immune system, and boost immunity, shortening the time for recovery, prevents a wide range of sicknesses and promotes self-healing. Ling Zhi or Lingzhi mushroom is highly recommended for people suffering from insomnia, anorexia, palpitation, dizziness, forgetfulness, nervous stress, hypertension, general body weakness or debility, fatigue, cough, indigestion, constipation, hemorrhoids, deafness, leukocytopenia, coronary heart disease and irregular heartbeats. As a medicinal nutrient, the ganoderma lucidum has a very long history. More than 3000 years ago, our ancestors began to use it to cure diseases and it was praised as the "Oriental Miracle Herb" for its remarkable effect. It is a household legend that ganoderma lucidum is able to "brings the dead back to life". 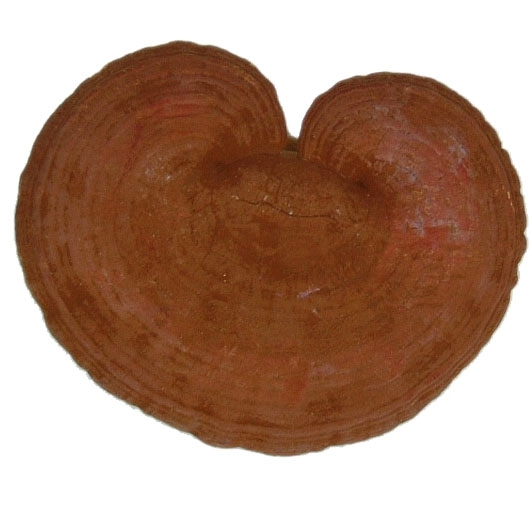 Ganoderma lucidum spore is the essence of ganoderma lucidum and only one gram of ganoderma lucidum spore can be derived from 1000 grams of ganoderma lucidum. 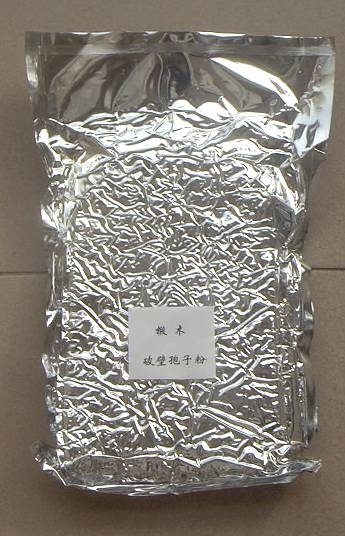 Ingredients: Ganoderma lucidum spore is a combination of triterpene, polysaccharides, polypeptide, glucopeptide, adenosine, enzyme, alkoloid, organic germanium and multiple trace elements and thus it is endowed with strong physiological activity, suitable for independent application or integrated application. Lucid ganoderma contains protein, various amino acids, polyose, fats, terpines, ergosterol, organic acids, aldaloid, adenine, uracil, various enzymes and various trace elements as Ge, etc. By stimulating the body-intrinsic effector cell* with cytotoxicity, ganoderma lucidum spore promotes the biological activity of retothelium and kills the tumor cells, restricting the growth of tumor or eliminating tumor. 1. Activates effector cells of body, enhances the ability of body to kill tumor and of oncolysis, raises the activity of damaging the tumor for over 80%. 2. Induce the secretion and synthesis of cells factor, enhances the ability of body to kill tumor, activates effector cells, and protects normal cells. 3. Restrains immune suppressor factor produced by tumor cells, exposes tumor cells to killer cells. 4. Restrains tumor cells from growing. 5. Repairs and enhances the sensibility of body to cancer effector, enhances adaptability of body. 6. Eliminates radicals so as to show strong activity of superoxide dismutase in body. 7. Improves the synthesis of marrow cells DNA, RNA and protein, accelerates splitting and propagation of marrow cells, and enhances blood producing function of marrow. 8. Reduces surface potential of cancer cells, inducts cancer cells gene to mutate again and initiate its fading program. 9. Kills tumor cells, but its mechanism remains unknown so far. Ganoderma Lucidum is a rare germ in the traditional Chinese medicinal treasure house and it has been worshipped and deified for 3000 years by the oriental world. Zhongke Ganoderma Lucidum Spore is the best of the modern ganoderma lucidum products and has been widely used as BRM (biological regulating media), to help resist tumors and excellent effect has been achieved, which has brought the hope of life and recovery to those who suffer from cancer or other diseases.